The evaluation system from Class V to VIII is based on grades rather than marks for a more qualitative assessment of abilities through subjective evaluations, rather than through the examination model which is often accused of putting inordinate pressure on students at a young age. The assessment is done in two categories – Formative evaluation and Summative evaluation. Formative Evaluation: Students are assessed based on day to day observations, taking into account oral work in classroom, questions, group discussions, personal interviews and general communication skills. This assessment also includes experiments, projects, informal tests, open book tests, essay writing, report writing and written tests. Summative Evaluation: This is conducted at the end of each term. This includes oral and written examination. This assessment inculcates life skills, giving thrust to the overall development of a child. 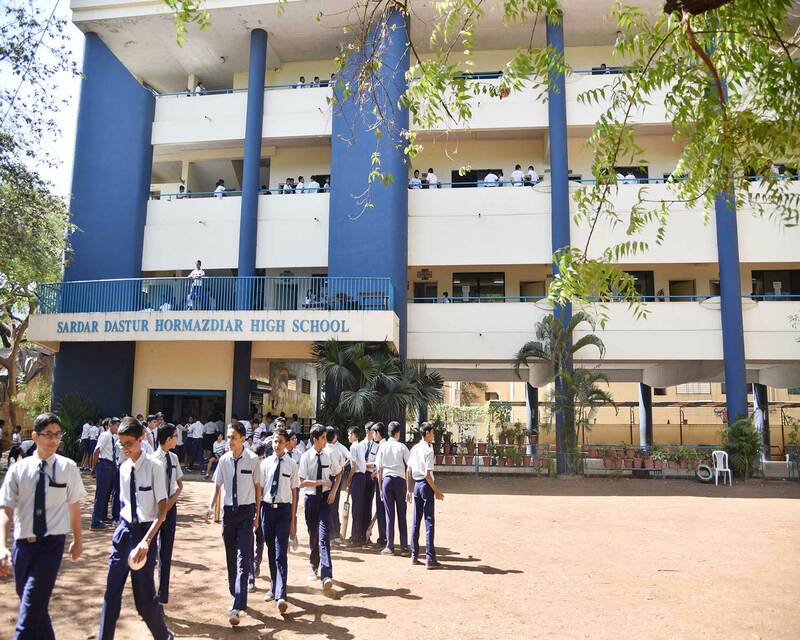 Class IX students are assessed through two unit tests one in each term, a terminal exam and final examination. The average of unit tests, terminal and final examination is considered for promotion of a student to class tenth. The standard X students are evaluated through a unit test, terminal examination and a preliminary examination so that they are well prepared for the Board exam. Promotion for Std. V to VIII as per the Zilla Parishad circulars. Promotion of Std IX students will strictly depend upon the academic performance during the unit tests, terminal and final examination.